Can it be possible??? July is nearly over??? 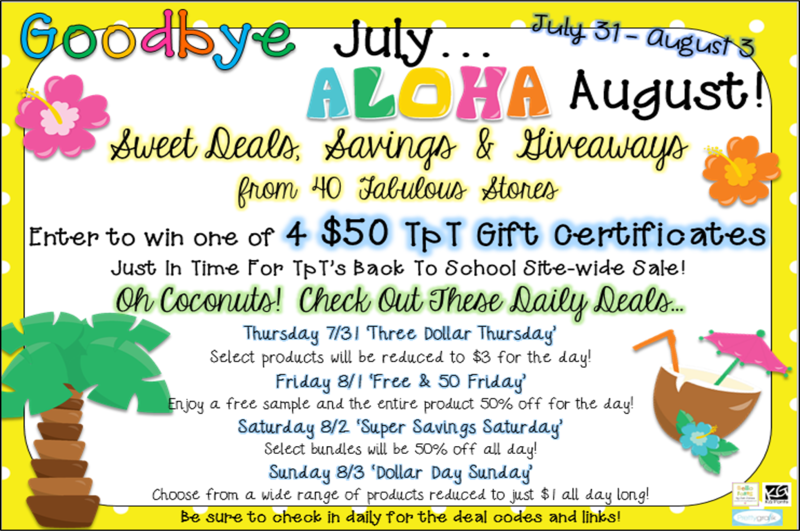 This is a FABULOUS 4 day event that is full of sweet deals, savings and 4 amazing giveaways! Each day a new 'deal' will be posted by the 40 participating stores! 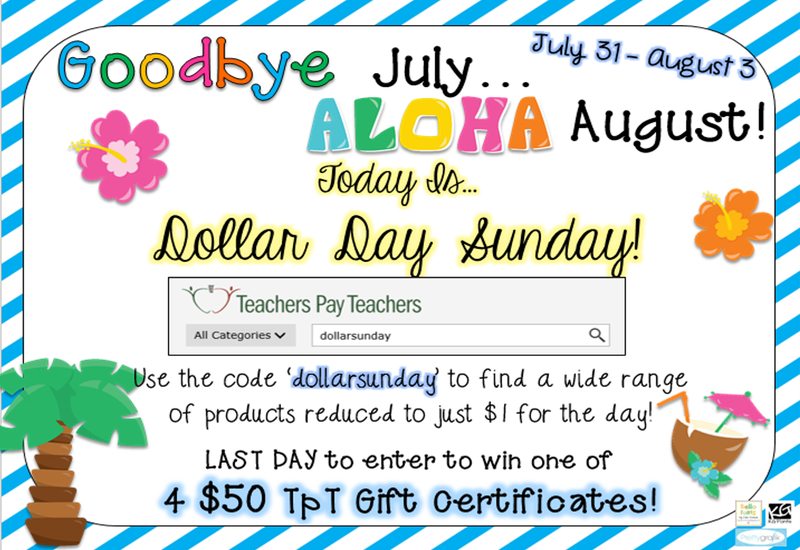 Be sure to visit their Facebook, Instagram and/or Pinterest accounts to find the daily deals and codes you will use in the TPT search engine to find the sweet deals! In addition, you can find the links to all the participating stores below...as well as 4 rafflecopters! 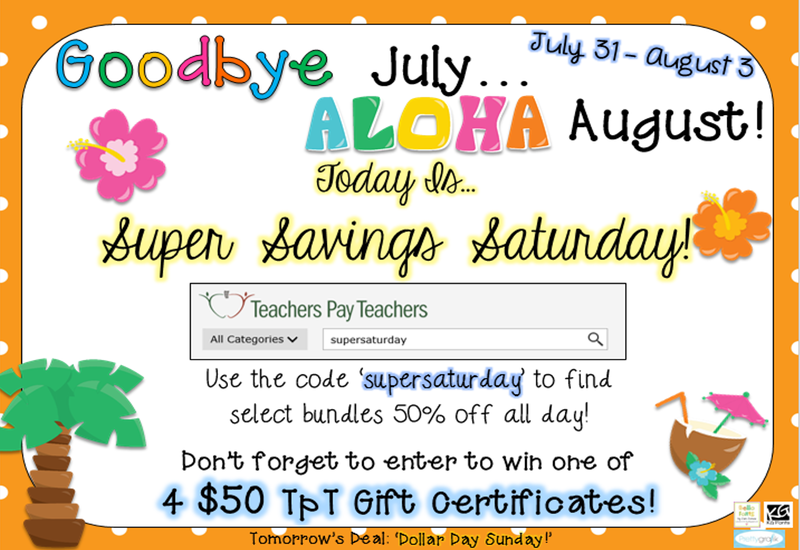 Each rafflecopter is for a $50 TPT gift certificate! Think of all the wonderful resources you could score with that...and just in time for Back To School! Please visit each rafflecopter and enter! Each one will generate a winner- and yes- you can win more than 1! Here is a clickable list of all the participating stores! Enjoy the deals, samples and good luck on the giveaway! And most importantly, we all send our best wishes for a successful school year!